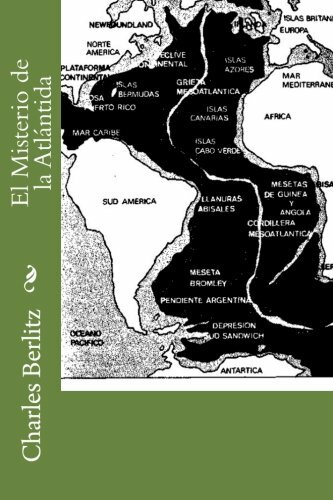 9781515276685 | Createspace Independent Pub, July 28, 2015, cover price $10.44 | About this edition: AtlÃ¡ntida es el nombre de una isla mÃ­tica mencionada y descrita en los diÃ¡logos Timeo y Critias, textos del filÃ³sofo griego PlatÃ³n. 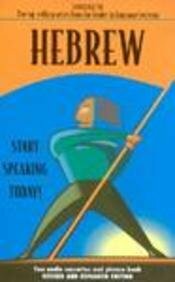 Product Description: This book is a unique storehouse of surprising, thought provoking, fascinating and useful facts about human speech and the written word. 9780785818274 | Castle, April 30, 2005, cover price $9.99 | About this edition: This book is a unique storehouse of surprising, thought provoking, fascinating and useful facts about human speech and the written word. 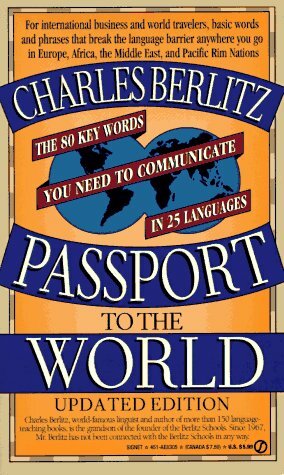 Around the World With 80 Words: The 80 Key Words You Need to Communicate in 25 Languages. 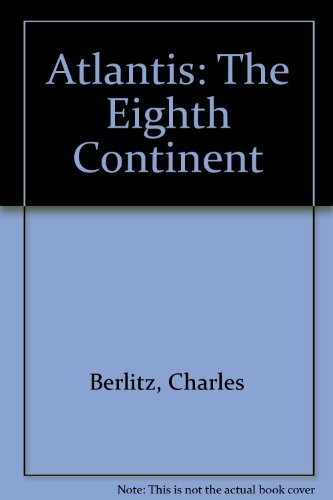 9780399128929 | Putnam Pub Group, May 1, 1984, cover price $16.95 | About this edition: Draws on extensive archaeological and scientific sources to discuss evidence for the existence of the lost continent of Atlantis. 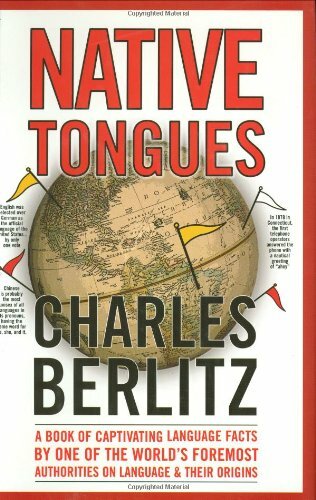 9780833514158 | Turtleback Books, October 1, 1999, cover price $13.40 | About this edition: For thousands of years before the beginning of recorded history -- the legends tell us -- a powerful civilization flourished in the middle of the Atlantic Ocean. The Roswell Incident was the most important UFO encounter of our century. But the facts about the incident are still being hidden from the American public. This groundbreaking book not only explores every aspect of the mysterious UFO crash near Roswell, New Mexico, but also probes the bizarre government cover-up that began within hours of the discovery and has continued right up to the present day. 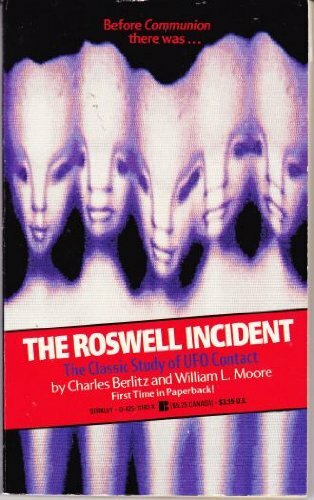 9780517329924, titled "Roswell Incident" | Outlet, July 1, 1983, cover price $1.98 | About this edition: The Roswell Incident was the most important UFO encounter of our century. 9780425126028 | Reissue edition (Berkley Pub Group, January 1, 1991), cover price $5.99 | also contains The End of Power: From Boardrooms to Battlefields and Churches to States, Why Being in Charge Isnt What It Used to Be | About this edition: Explores every aspect of the mysterious alleged UFO crash near Roswell, New Mexico, investigating the suspected government cover-up while collecting the testimonies of civilian and military witnesses and presenting existing evidence. A guide to mastering Russian, organized by topic, features a dictionary of more than 1,400 terms, plus special 'Point to the Answer' sections. Original. 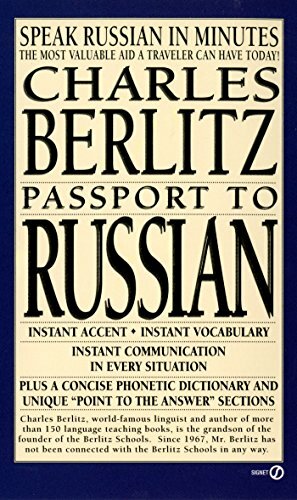 9780451172006 | Reissue edition (Signet, December 1, 1996), cover price $6.99 | About this edition: A guide to mastering Russian, organized by topic, features a dictionary of more than 1,400 terms, plus special 'Point to the Answer' sections. Provides common words and phrases for typical tourist situations, illustrates how to develop an accent that French speakers will readily comprehend, and includes a helpful 'Point to the Answer' section. Original. 9780451181701 | Rev upd edition (Signet, November 1, 1995), cover price $5.99 | About this edition: Provides common words and phrases for typical tourist situations, illustrates how to develop an accent that French speakers will readily comprehend, and includes a helpful 'Point to the Answer' section. 9780451155283 | Rev/updatd edition (New Amer Library, September 1, 1991), cover price $5.50 | also contains Managing Diversity Intro | About this edition: Provides common words and phrases for typical tourist situations, illustrates how to develop an accent that French speakers will readily comprehend, and includes a helpful ""Point to the Answer"" section. Product Description: Phrases in both English and Portuguese are spoken by native voices with authentic pronunciation on two cassettes. 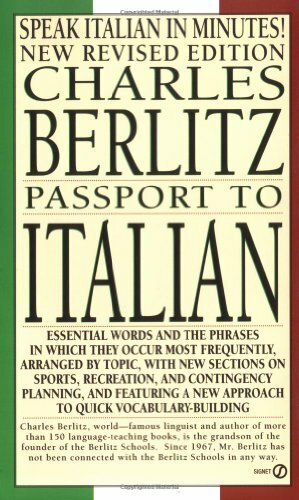 Beginners, business travelers, and vacationers can also refer to the handy, pocket-sized phrasebook as a reference guide. 9780910542739 | Educational Services Corp, October 1, 1995, cover price $24.95 | About this edition: Phrases in both English and Portuguese are spoken by native voices with authentic pronunciation on two cassettes. An introduction to Latin covers everyday words and phrases, famous proverbs, grammar, and pronunciation. 9780910542890 | Educational Services Corp, July 1, 1995, cover price $24.95 | About this edition: An introduction to Latin covers everyday words and phrases, famous proverbs, grammar, and pronunciation. Designed for easy communication in twenty-five languages, an essential guide by a renowned teacher allows readers to communicate successfully using eighty key words in each language and following simple phonetic guides for accurate pronunciation. Original. 9780451183057 | Updated edition (Signet, March 1, 1995), cover price $5.99 | also contains The Applied Matrix Methods and Differential Equations | About this edition: Designed for easy communication in twenty-five languages, an essential guide by a renowned teacher allows readers to communicate successfully using eighty key words in each language and following simple phonetic guides for accurate pronunciation. Product Description: Learn Irish phrases and pronunciation while driving, exercising, or any time. 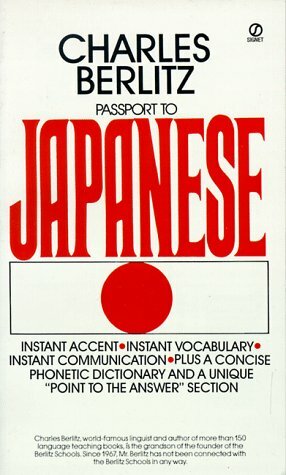 This language course features two cassettes and a phrasebook to give travelers conversational phrases, greetings, emergency terms, and more. 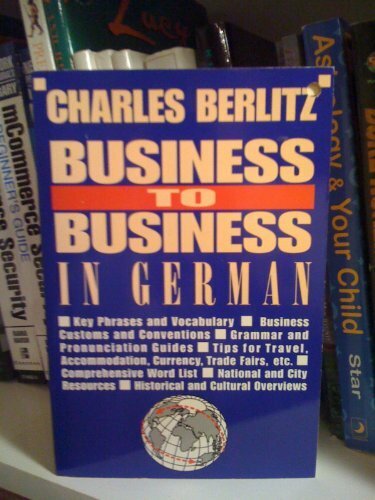 9780910542852 | Educational Services Corp, December 1, 1994, cover price $24.95 | About this edition: Learn Irish phrases and pronunciation while driving, exercising, or any time. A newly revised and expanded guide to the Spanish language features essential words and phrases, arranged by topic, and shows readers how to increase their vocabulary and improve pronunciation. Original. 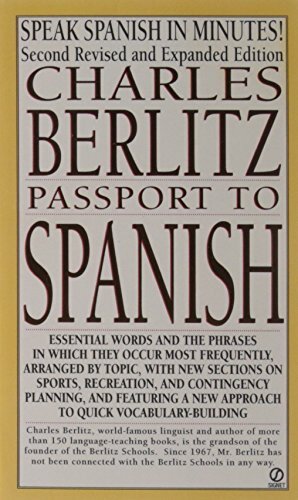 9780451178312 | 2 revised edition (Signet, August 1, 1993), cover price $6.99 | About this edition: A newly revised and expanded guide to the Spanish language features essential words and phrases, arranged by topic, and shows readers how to increase their vocabulary and improve pronunciation. 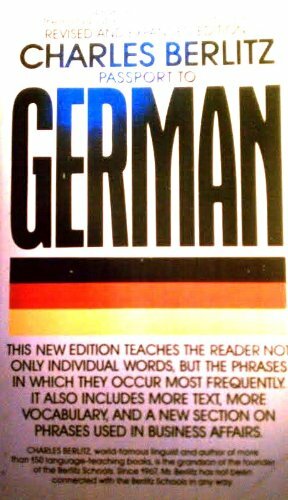 A guide to essential and more frequently used words and phrases in German features a shortcut system for increasing one's German vocabulary, techniques for developing an accent, and a phonetic dictionary of more than 1,800 terms. Reprint. 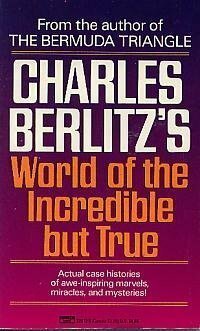 Charles Berlitz's World of the Incredible but True. 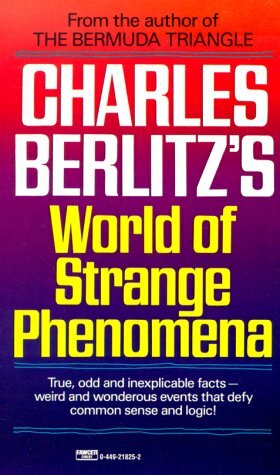 Product Description: From the author of The Bermuda Triangle comes a collection of baffling, bizarre, and unbelievable phenomena that no scientist or skeptic can explain away. 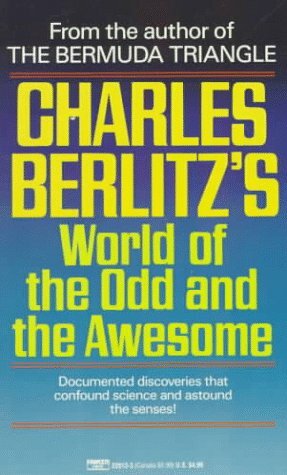 9780449220139, titled "Charles Berlitz's World of the Odd and the Awesome" | 1 edition (Fawcett Books, October 1, 1991), cover price $4.99 | About this edition: From the author of The Bermuda Triangle comes a collection of baffling, bizarre, and unbelievable phenomena that no scientist or skeptic can explain away. 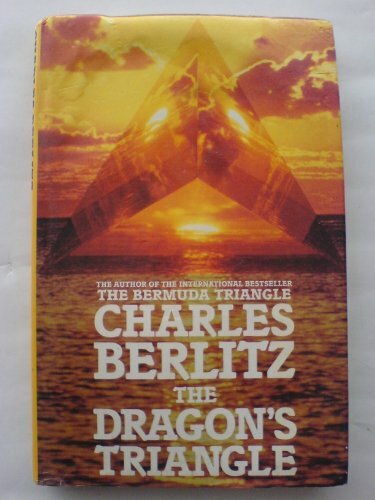 9780756754198, titled "Dragon's Triangle" | Diane Pub Co, December 1, 1989, cover price $25.00 | About this edition: First edition, 1989 Wynwood Press.